“Get a Free $ 500 Bunnings Warehouse Gift Card (67 Left). 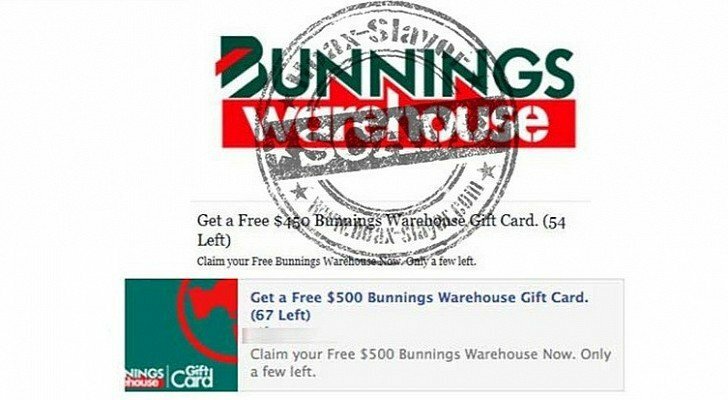 Claim your Free $500 Bunnings Warehouse Now. Only a few left,” the scammy posts read.